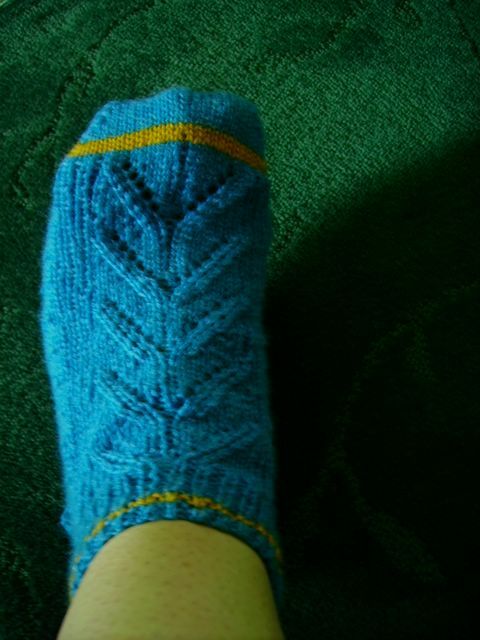 I think I've got the hang of the footlets now. Just the second one to go! 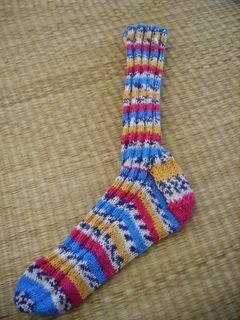 Here is the first of the pair done. 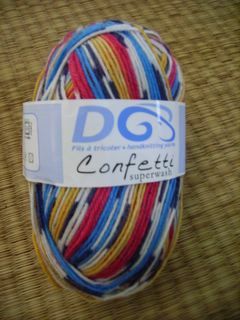 And in the spirit of socks, this is the new yarn I've purchased. Confetti superwash. I CO 60 sts and did a 3x3 rib. It fits my foot perfect. I did not finish the ball though because I didn't want to overshoot with the length. 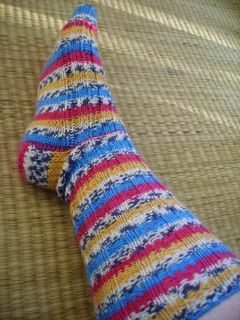 This length reaches about midcalf, so next time I will know to make it longer. Also, this was knit cuff down, not toe up. 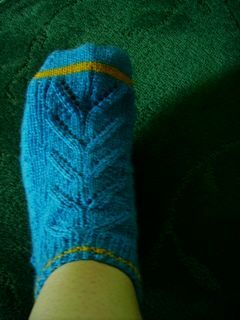 I may try the toe up method next and then I can knit to the end of the ball. posted by Venus @ 7:51 p.m.
Thats a lot of yarn! xoxo, your socks look great by the way!